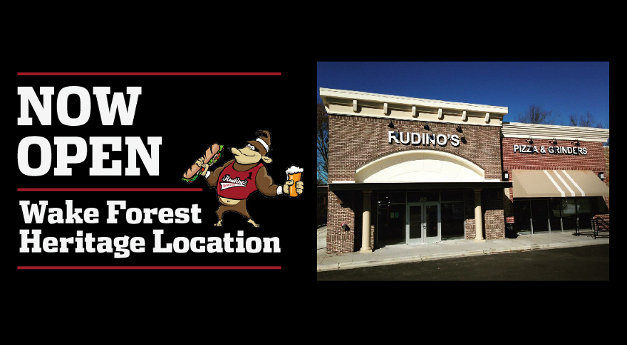 Rudino’s Sports Bars specialize in great pizza and awesome Grinders in Wake Forest NC. We offer complete entertainment from sports coverage, local brewery tap takeovers, contest nights, local bands and more! To see a full line up of events, contact your favorite Rudino’s location General Manager or check out our events here. We pride ourselves on being your local family hang out with great food, lots of sports and a wonderful atmosphere. From the outstanding sports coverage and seemingly endless wall of TVs, to the local entertainment, music, and contests, we keep your entertainment evening filled to the max with choices.